Three Colombian police officers were killed and a fourth was wounded in an attack a northern Colombian state that borders Venezuela, the National Police said. The officers, who belonged to a mobile police squad, were attacked after their convoy was halted by an explosives ambush outside Cucuta, the capital of Norte de Santander. The wounded officer was taken to a hospital in Cucuta and is listed in stable condition, the National Police said in a statement. A reward of up to $27,000 or 70 million pesos is being offered for information leading to the arrest of those responsible for the attack. The National Police has not yet identified the group suspected of being behind the attack. 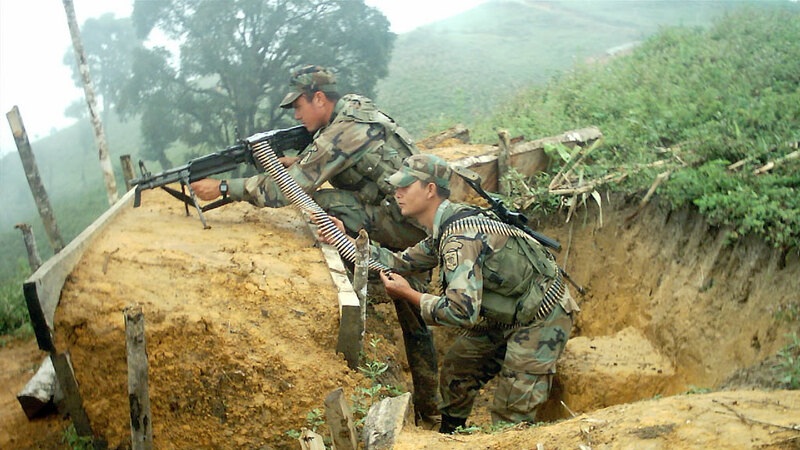 The Revolutionary Armed Forces of Colombia, or FARC, and the smaller National Liberation Army, or ELN, guerrilla groups, as well as different gangs that smuggle drugs and other contraband, operate along the border with Venezuela. While the FARC has been upholding a national unilateral ceasefire as part of ongoing peace talks with the government, the ELN has continued attacks while holding exploratory talks to end the political violence that began with the foundation of the two groups in 1964.